Thoughtfully sited on a hill to capture views, thismodern-styled homeissurrounded bymature xeriscape landscaping,walkways and courtyards. 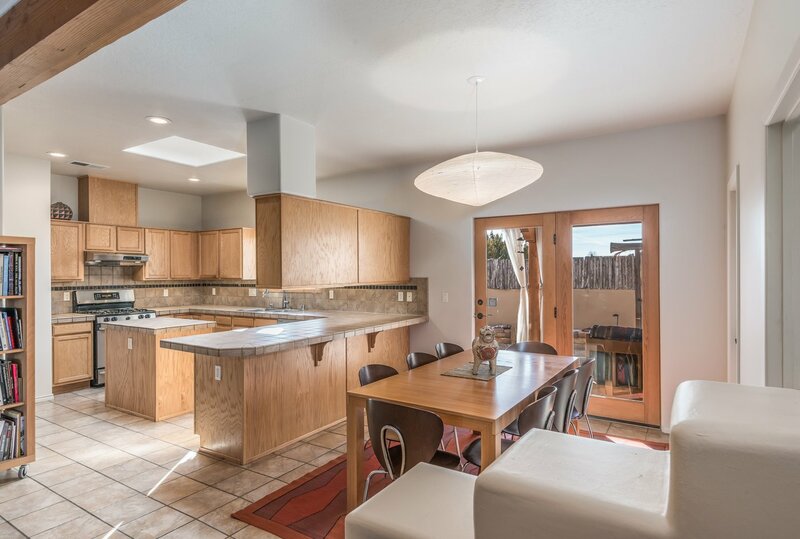 Open and bright, withskylights in every room, illuminate throughout the day the neutrally designed interior, including the kitchen, hallways, and bathrooms. 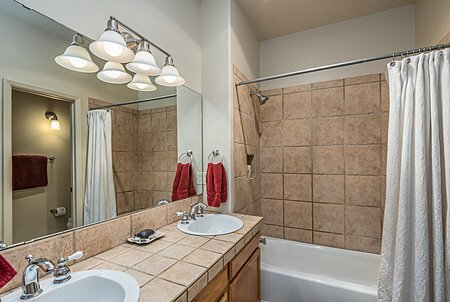 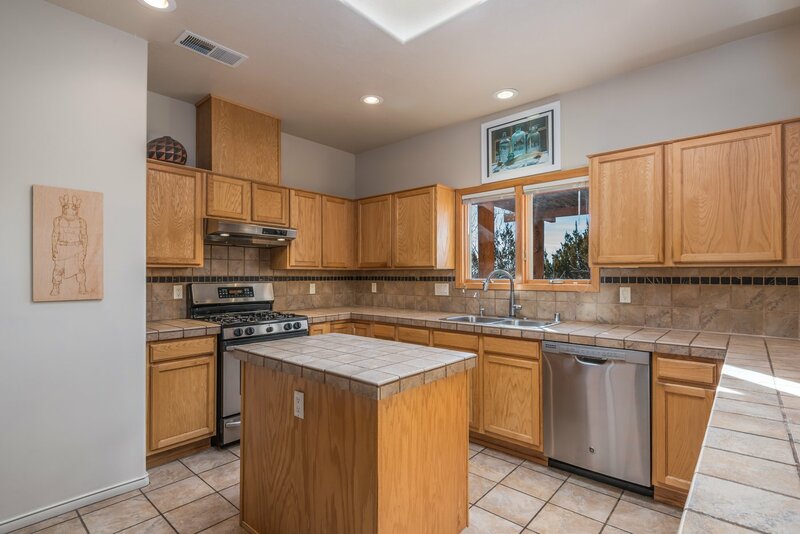 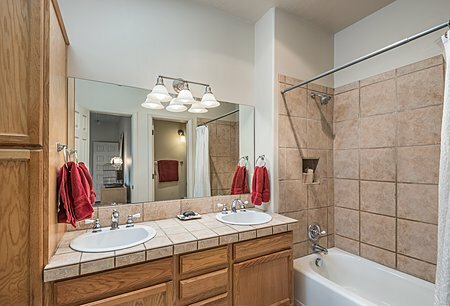 The spacious kitchen includes a walk-in pantry, updatedstainless steel appliances, andwater filter system. 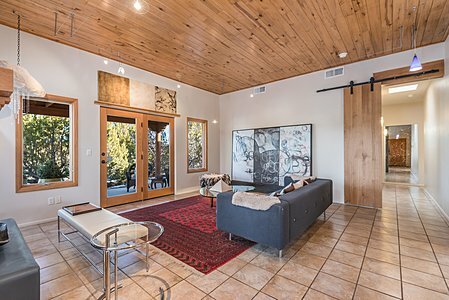 Large glassdoors open onto the shade covered patios (one facing East, the other facing West) perfect for outdoor entertaining! 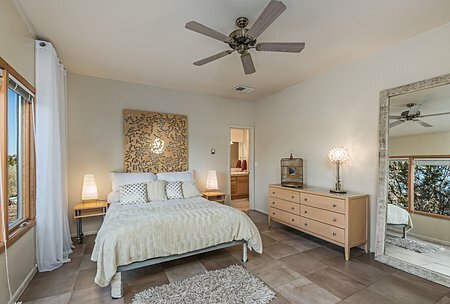 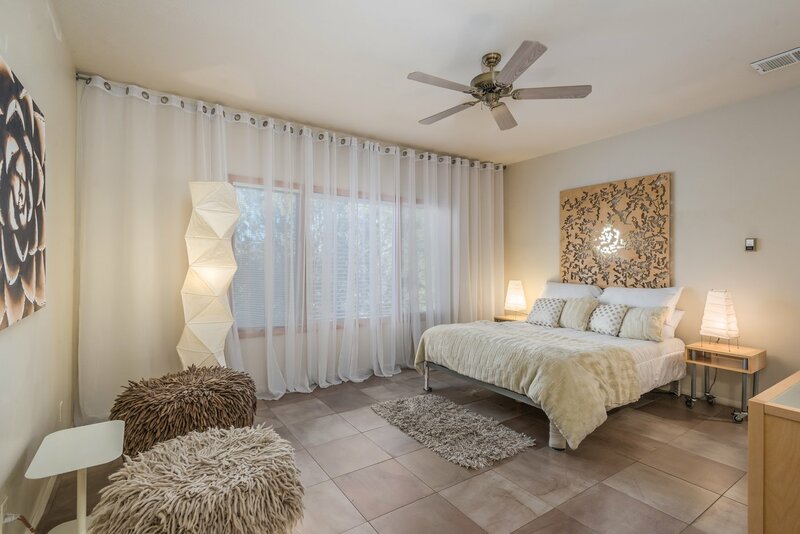 An elegant sliding door leads to master bedroom/ bathroom suite with large east facing windows, as well as two bedrooms with separate bathroom. 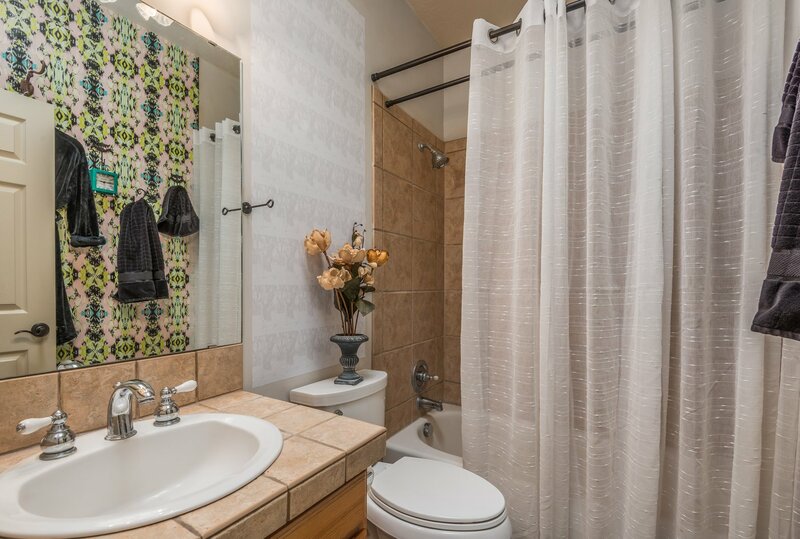 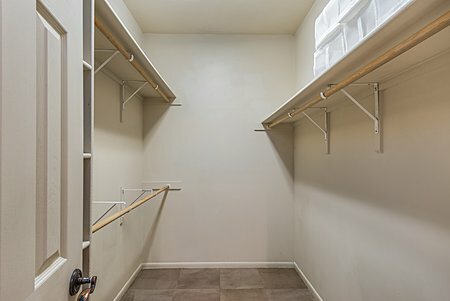 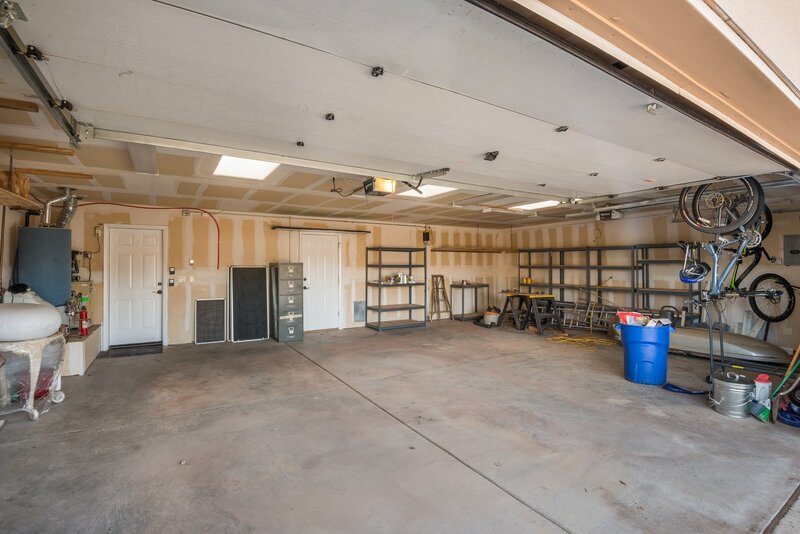 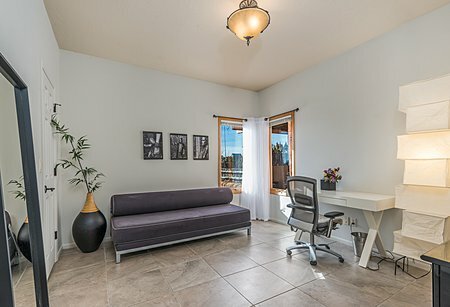 Beautiful grey and tan tile floors with radiant heat throughout, a fabulous heated 3-car garage-perfect for extra storage, or a studio. 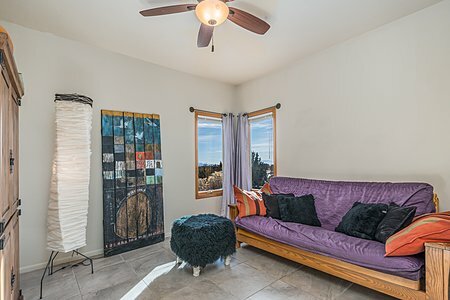 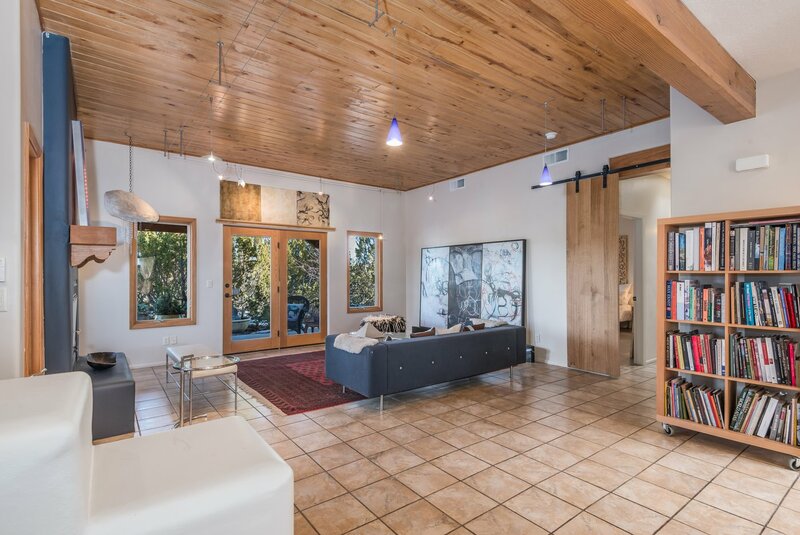 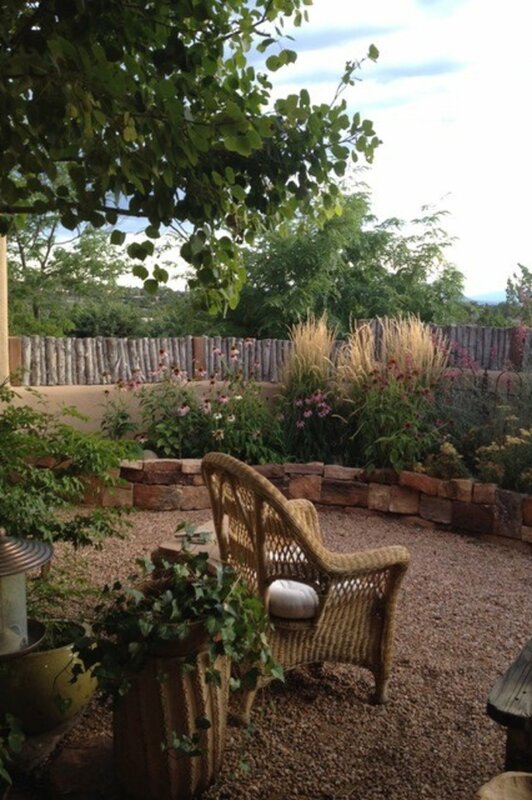 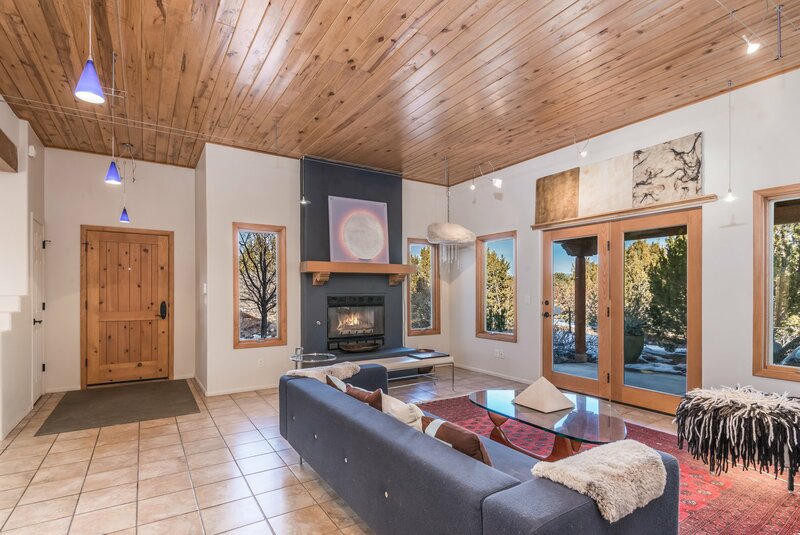 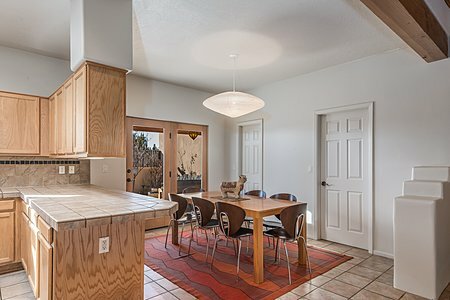 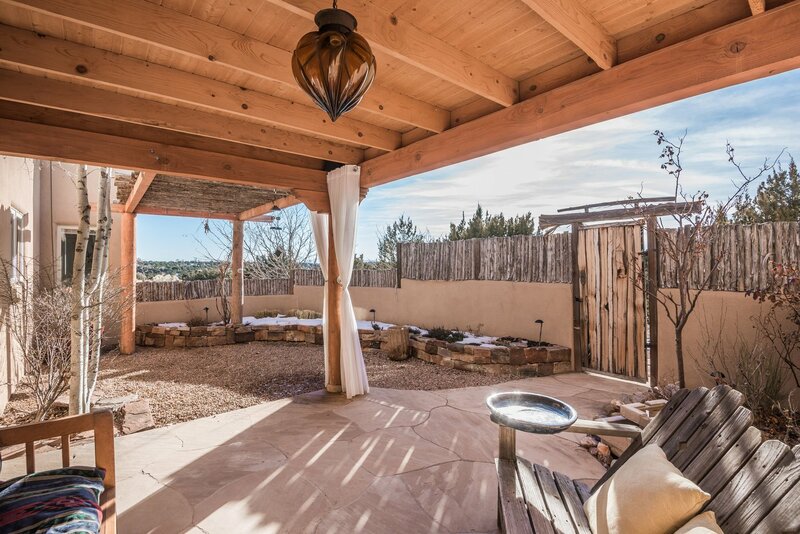 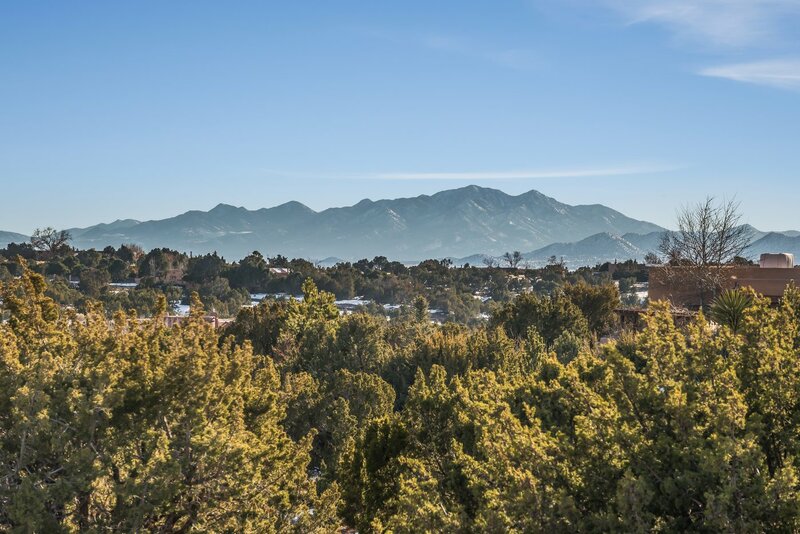 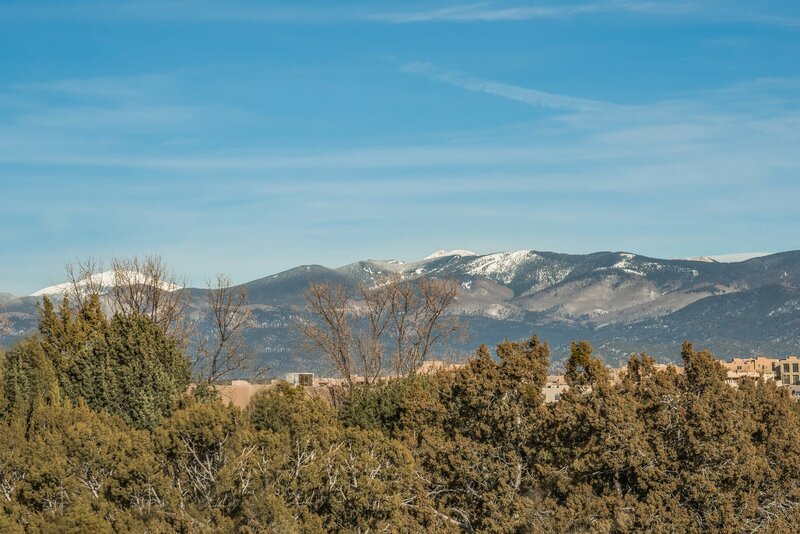 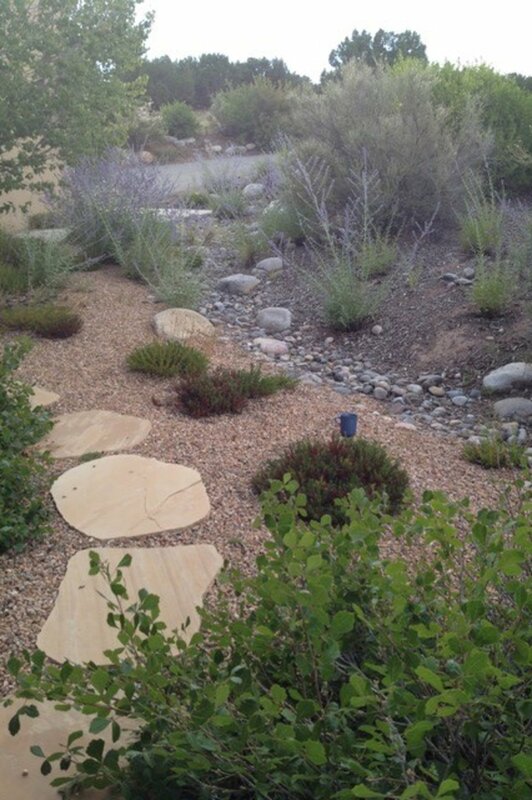 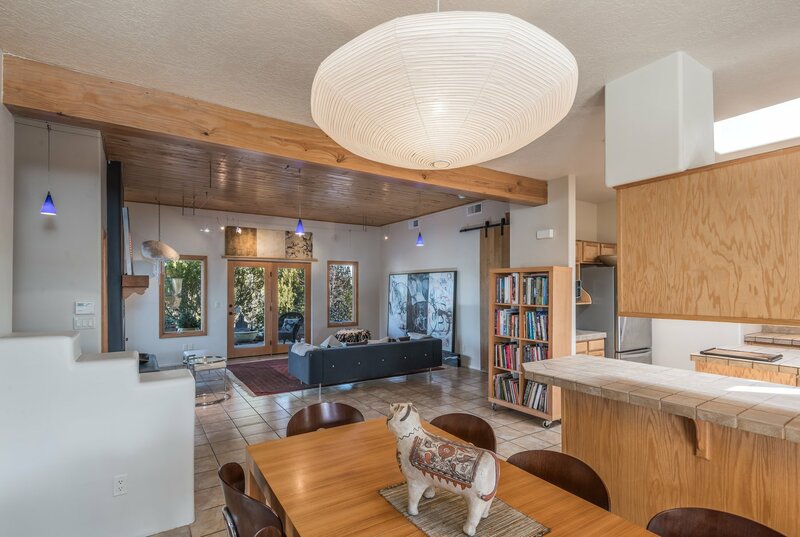 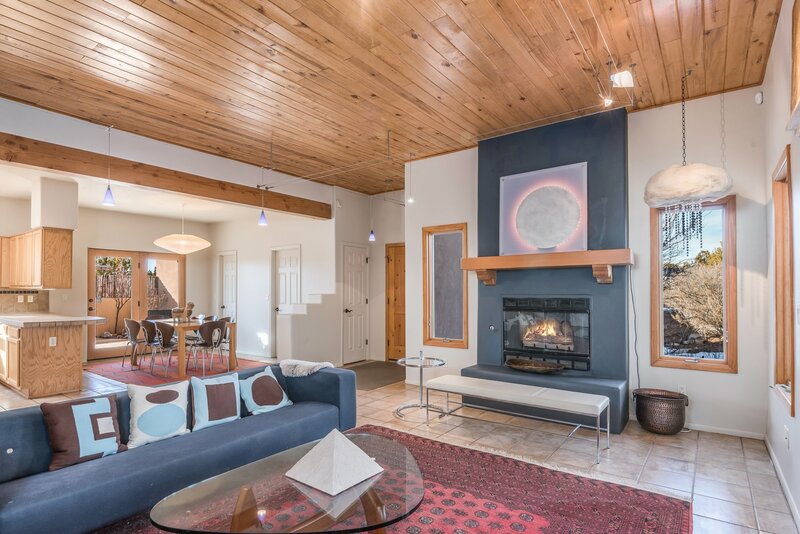 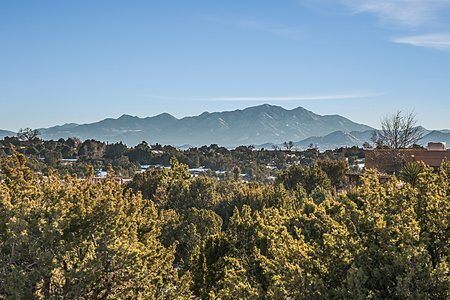 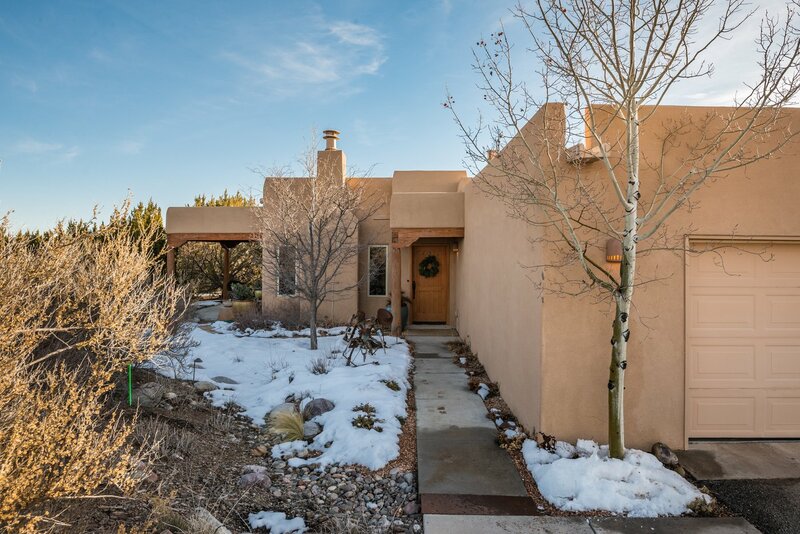 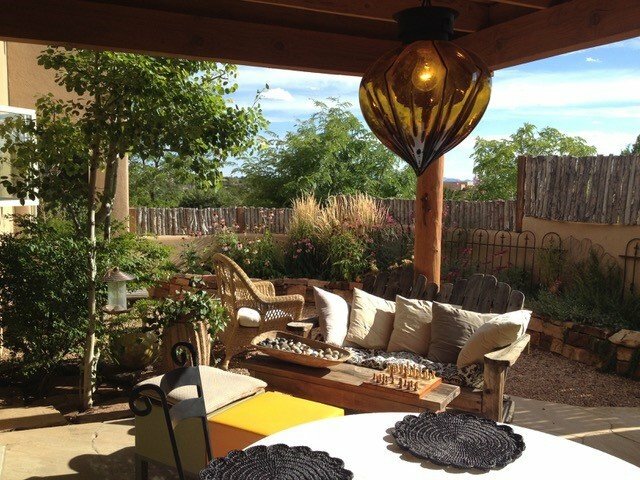 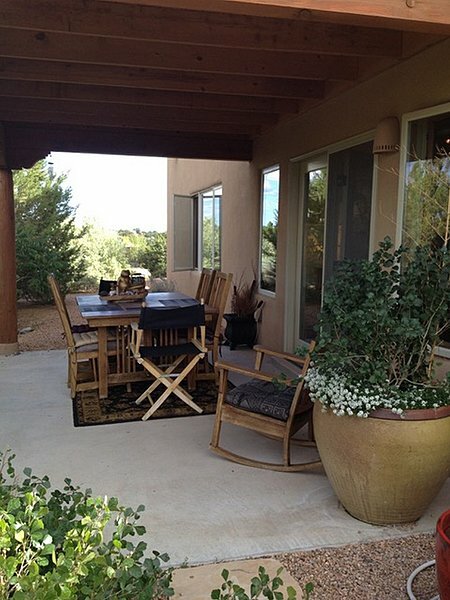 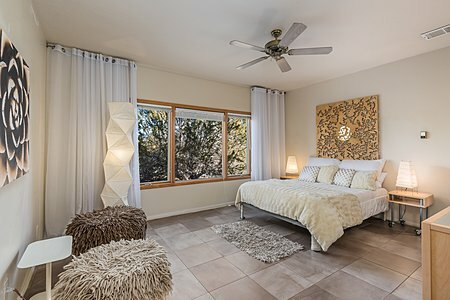 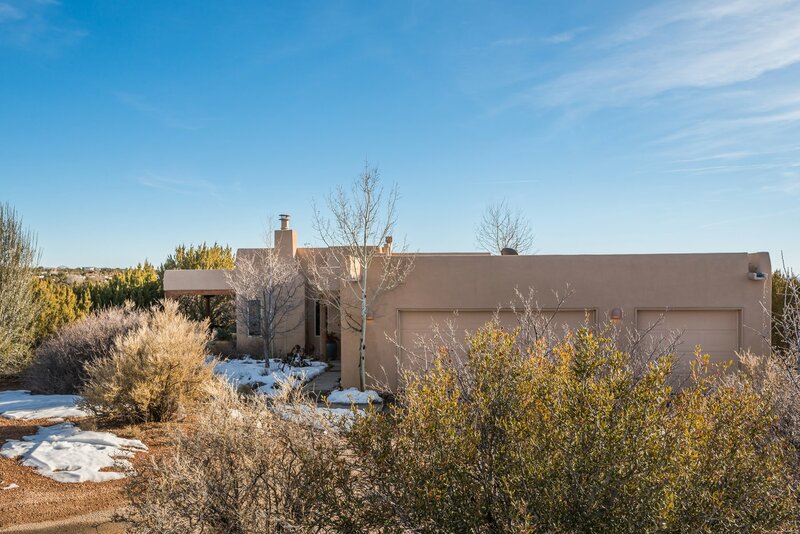 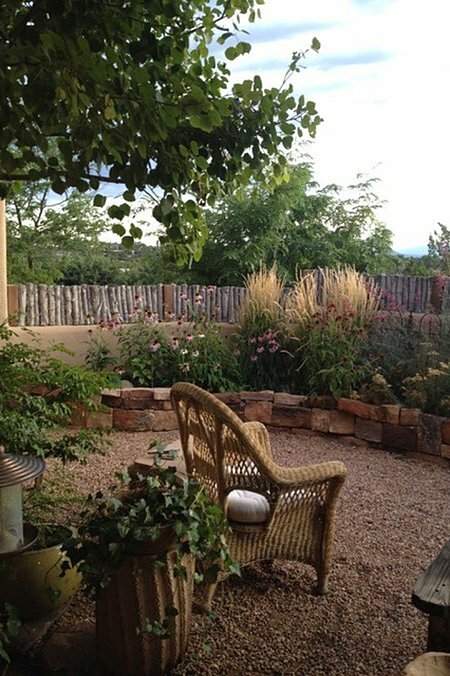 A well maintained home, ina serene setting on 2.5 ac, and just minutes to downtown Santa Fe!